Shoppers looking for a quality, affordable engagement ring for a loved one or jewelry that is opulent without a high price tag may want to learn more about Moissanite jewelry. Customers may ask “why is moissanite different than diamonds?” The company’s website answers this question in detail and explains the benefit of these beautiful stones as well. Moissanite jewels are inspired by stardust; the crystals are grown in a lab in North Carolina. These stones have a 2.65-2.69 refractive index, which makes the stones more brilliant than a diamond. The dispersion for the jewels is 2.4 times that of a diamond, which is why many customers prefer these jewels. Moissanite bends light into flashes of fire that are rainbow-colored. This is double the reflective quality of other quality stones like rubies, emeralds or sapphire. Moissanite stones even retain their resilient shine at night. 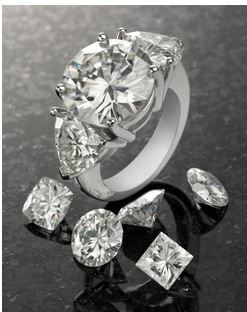 Moissanite.com sells a number of beautiful jewelry pieces that fit a variety of styles and preferences. The online store features several varieties of engagement rings, along with necklaces, stud-style earrings, chandelier earrings and wedding bands for men and women. The customer service team is available to answer any questions customers may have before purchasing jewelry, and patrons can sign up to receive exclusive previews on new Moissanite pieces being added to the online store.